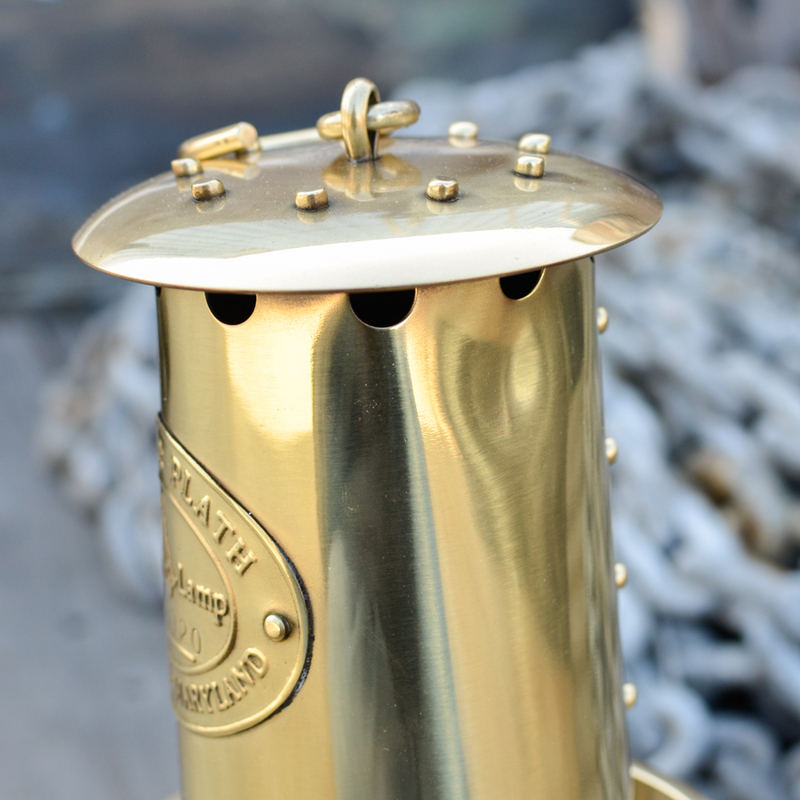 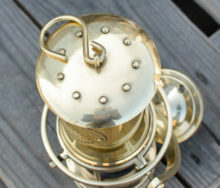 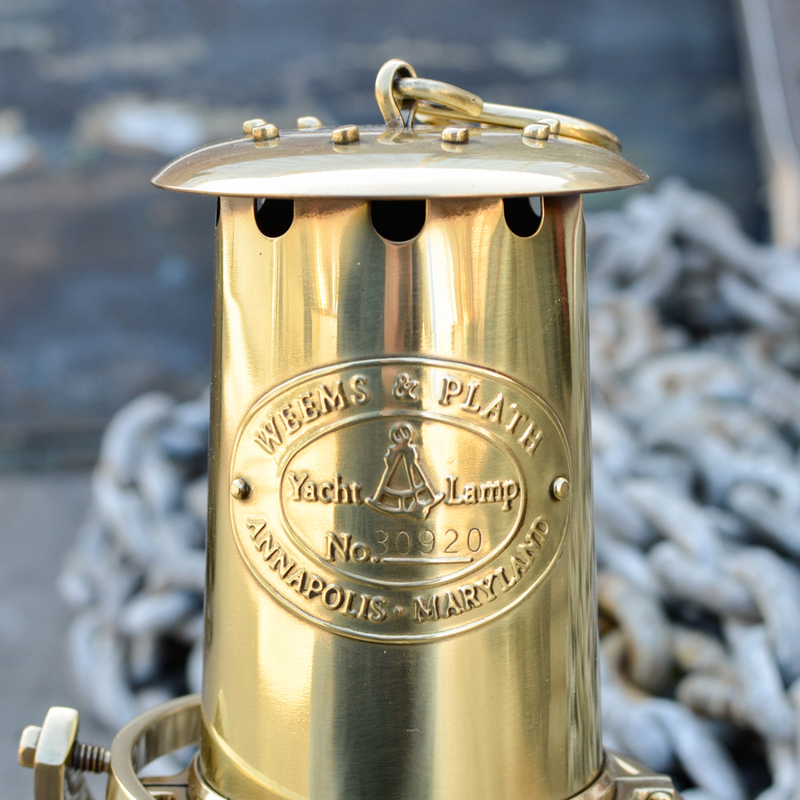 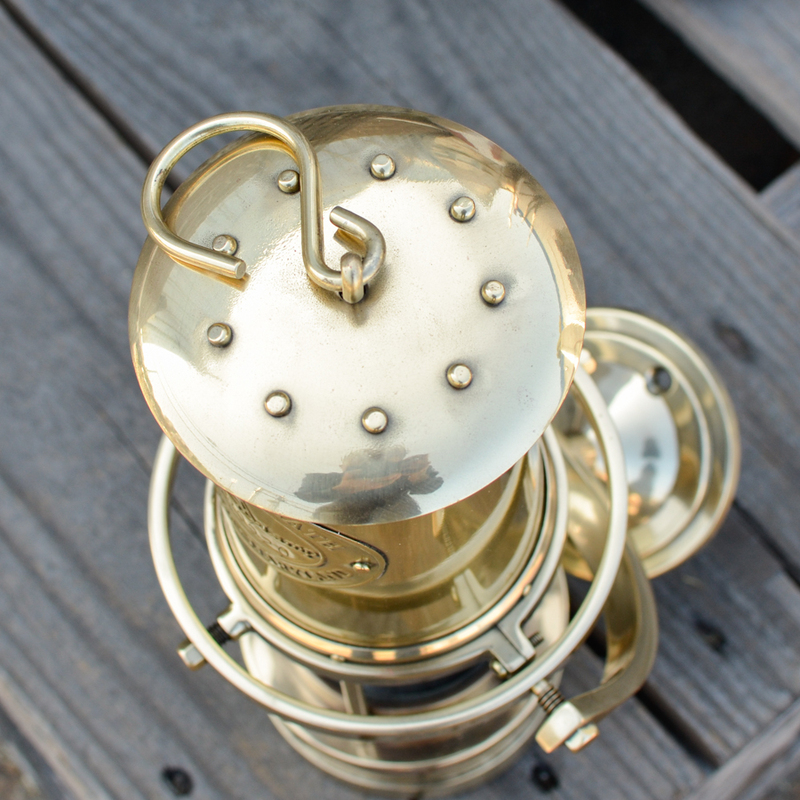 A Weems and Plath solid brass gimbaled yacht lamp. 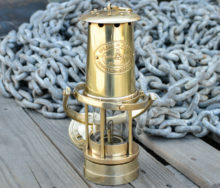 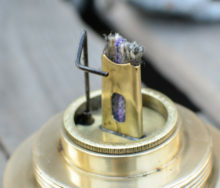 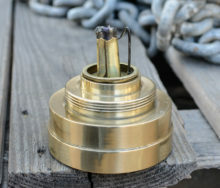 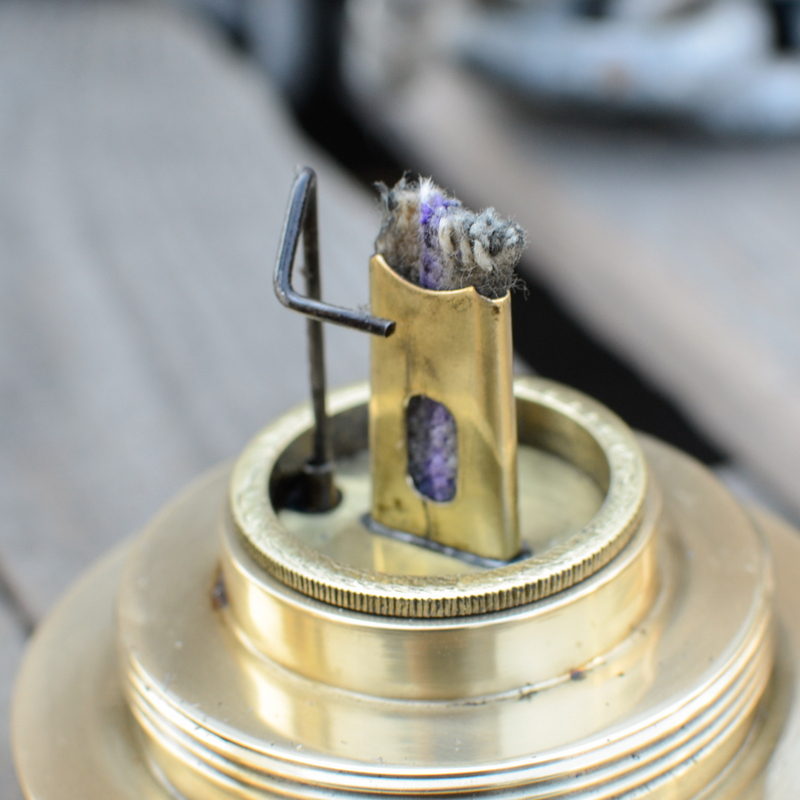 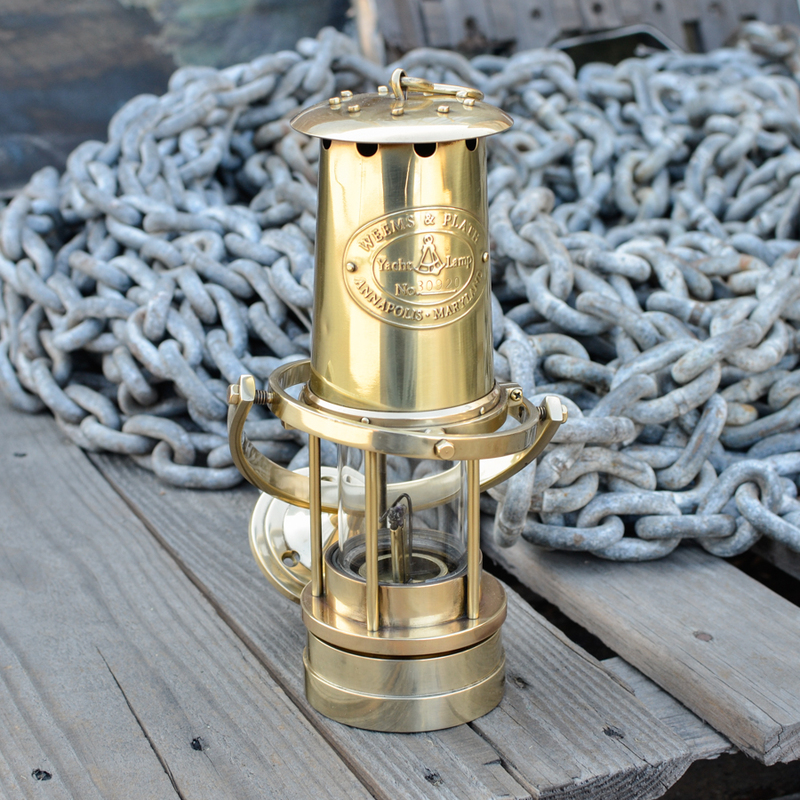 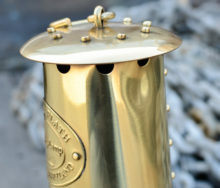 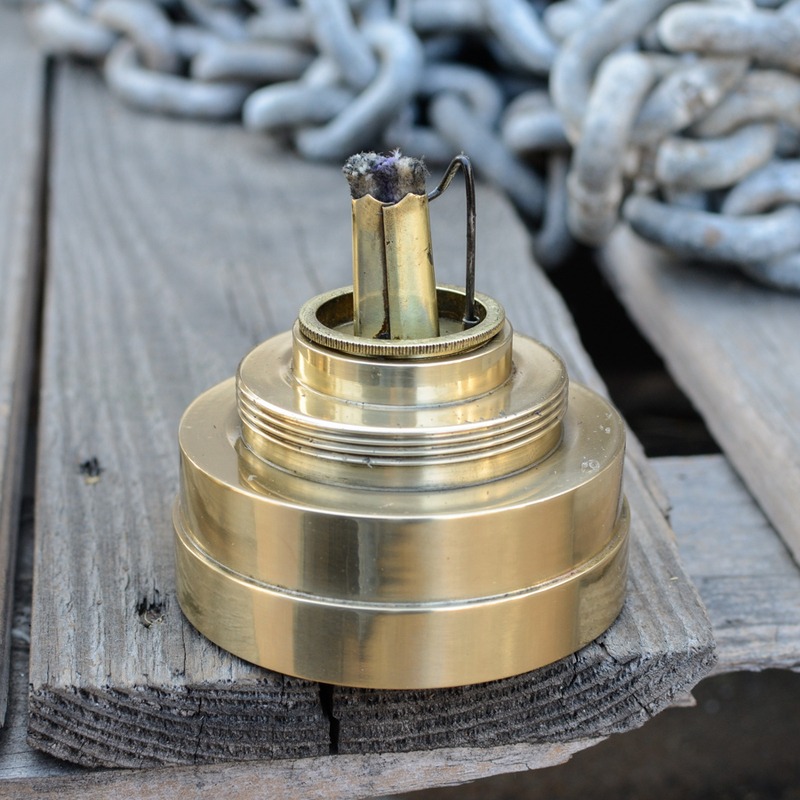 This lamp is lit by oil and wick, made of brass and has a classic explosive/stormproof look to it. 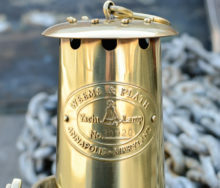 Say Annapolis, Maryland serial number 30920. 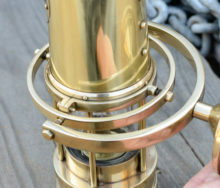 Measuring about 10.5 inches tall overall and protrudes from the bulkhead about 7 inches. 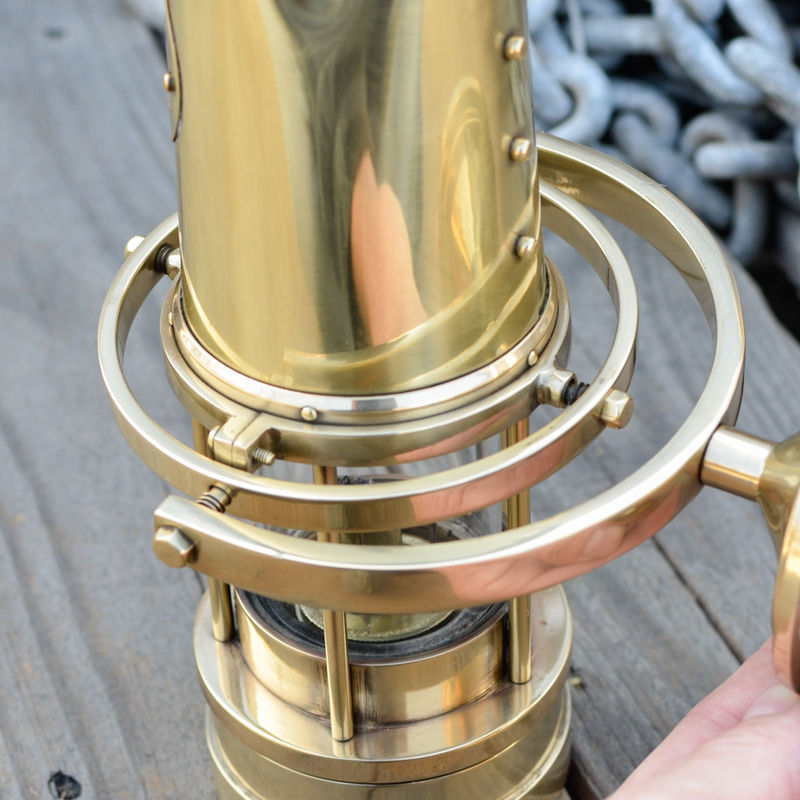 Beautifully polished and lacquer coated.